Organic ingredients must meet a set of standards to be officially certified. Organic ingredients must be grown and processed using organic farming methods. Plant based ingredients must be grown without using synthetic pesticides, bio-engineered genes, petroleum-based fertilizers and sewage sludge-based fertilizers. 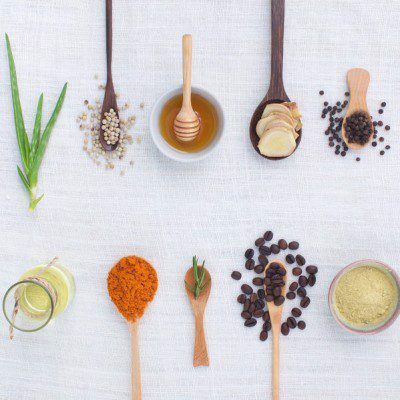 How are organic ingredients certified? How is the organic product labelled? “FAQ: Becoming a Certified Operation.” FAQ: Becoming a Certified Operation | Agricultural Marketing Service. United States Department of Agriculture, n.d. www.ams.usda.gov/services/organic-certification/faq-becoming-certified. Accessed 02 Dec. 2016. “Title 7 Agriculture Part 205 National Organic Program” ECFR — Code of Federal Regulations. U.S. Government Publishing Office, 30 Nov. 2016. www.ecfr.gov/cgi-bin/text-idx?tpl=%2Fecfrbrowse%2FTitle07%2F7cfr205_main_02.tpl. Accessed 02 Dec. 2016. “Organic Education.” Organic.org – Certified Organic Label Guide. N.p., n.d. www.organic.org/articles/showarticle/article-201. Accessed 28 Nov. 2016. Carson, Lin. “Solutions for the Natural and Organic Baker | BAKERpedia.” Bakerpedia, 14 Oct. 2016. www.bakerpedia.com/solutions-natural-organic-baker/. Accessed 28 Nov. 2016. McEvoy, Miles. “USDA Blog » Understanding the USDA Organic Label.” USDA Blog RSS 2. United States Department of Agriculture, 22 July 2016. blogs.usda.gov/2014/05/16/organic-101-understanding-the-made-with-organic-label/. Accessed 28 Nov. 2016.